Xolo recently launched their first ever Octa-core smartphone the Xolo 8X-1000 with HIVE UI. 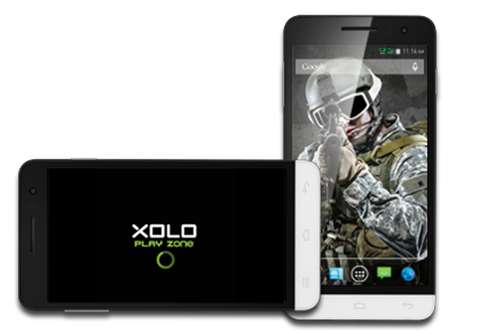 And now further expanding the series the company has launched an all new Xolo Play 8X-1100. The Xolo Play 8X-1100 comes with a 1.7GHz octa-core processor unlike the 1.4GHz processor seen on the Xolo 8X-1000. It has a 5 inch Full HD IPS display protected by Corning Gorilla Glass 3 and it runs on Android 4.4 KitKat. For gaming lovers there is a 700MHz Mali 450 GPU and 2GB of RAM along with 16GB of in-built storage which can be expanded upto 32GB micro SD. The phone packs in a 13 megapixel rear facing camera with Sony BSI sensor and 5 megapixel front facing camera too. The Xolo Play 8X-1100 is priced at Rs. 14,999. And is expected to go on sale starting 1st week of September.